The Permatech brand is built on four distinct components: innovation, process disciplines, product accuracy and capacity. Our goal is to bring these key advantages to our customers in the services and products we deliver. As such, we strive to be the best at what we do day in and day out. for our customers through the relentless pursuit of process and product improvements and personnel development. 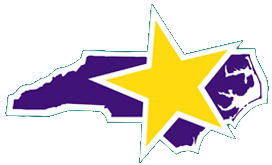 Our initiatives are recognized by achievement within our State and Community as a "Star Site" through the North Carolina Department of Labor. We are ISO 9001:2008 certified for quality management systems. The scope of activities covered by this certification is for the Design and Manufacture of precision cast refractory shapes used primarily in molten aluminum equipment and systems. About ISO: ISO (International Organization for Standardization) is the source of the ISO 9000 and ISO 14000 families of quality and environmental management standards and some 15 000 International Standards for business, government and society. ISO is a network of national standards institutes from 146 countries working in partnership with international organizations, governments, industry, business and consumer representatives.